For convenience and external unity, the wires are hidden under special boxes. It is an electrotechnical element that is attached to any surface, including plinths, ceiling and walls. It protects the electrical line from damage and allows it to be laid in the right places. Size 100x100 mm Series ECCP Number of sections 2 .. Size 100x40 mm Series ECCP Number of sections 2 .. Size 100x60 mm Series ECCP Number of sections 2 .. Size 100x80 mm Series ECCP Number of sections 2 .. Size 120x40 mm Series ECCP Number of sections 2 .. Size 120x60 mm Series ECCP Number of sections 2 .. 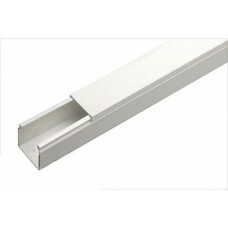 Size 120x80 mm Series ECCP Number of sections 2 .. Size 150x60 mm Series ECCP Number of sections 4 .. Size 200x60 mm Series ECCP Number of sections 4 .. Size 25x40 mm Series ECCP .. Size 25x60 mm Series ECCP .. Size 25x80 mm Series ECCP ..